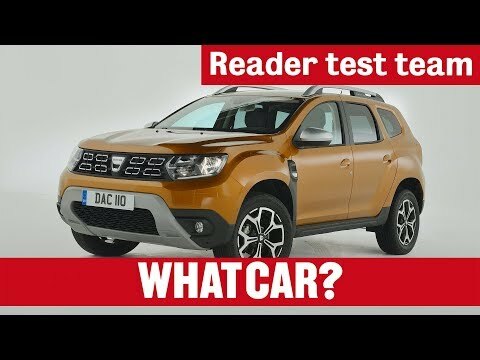 ​An SUV that delivers on the essentials without going overboard, the new Dacia Duster epitomises the Romanian brand’s no-nonsense approach to motoring. Having scooped several awards for its practicality and versatility, it’s a firm favourite with drivers and critics alike, proving that greatness can be achieved without fuss. Recently updated, the latest Duster sports a rugged, go-anywhere look that’s complemented by a striking front grille and elegant lighting signature. Roof bars add to the model’s overall practicality, while 17-inch alloy wheels and a selection of vibrant colour choices ensure it stands out whether it’s on the road or hitting a dirt track. No-nonsense the Duster may be, but that doesn’t mean it compromises on the fundamentals. And for modern drivers, that means automatic air conditioning to keep you cool in the summer heat; Bluetooth connectivity to enable you to stream music and make calls on the go; and even a navigation system on selected trims, to help you get to your destination by the fastest route. You can even benefit from a hands-free keycard system, which saves you having to search your pockets or handbag for your keys. Two petrol engines and a diesel unit are available with the new Dacia Duster, each providing enough power and torque to haul not only you and your family, but a trailer or caravan too. As for economy, figures reach as high as 50mpg, ensuring you can enjoy more miles of relaxed driving between fuel stops. When it comes to safety, nothing should be left to chance. 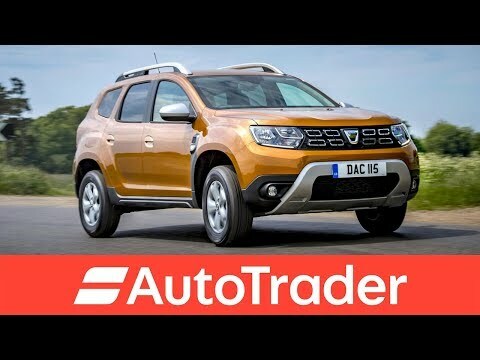 That’s why the Duster features a host of equipment for your protection, including ABS, stability control, a full complement of airbags and ISOFIX child seat mounting points as standard. It also boasts a reinforced body shell that maximises protection in the event of an impact. Climate Control - Select your ideal temperature. With climate control, the air's always good on board Duster. Precise to the nearest degree! Hands-Free Key - The keyless entry system allows you to open and start your Duster without taking out your keys. In addition, the "Welcome light" function, helps you find your parking spot easily by remotely turning on the headlights. Electric Power Steering - All-New Duster can adapt to any situation. Its handling allows you to manoeuvre through the city without effort. It offers optimum precision on rough terrain. On road, its handling offers you real driving pleasure. Driver's Adjustment's - The driver's seat has height and lumbar adjustment to offer you driving enjoyment and made-to-measure comfort. The steering wheel can be adjusted in height and depth. A Range of Storage - Duster offers you a range of smart and generous storage areas! Under the passenger seat, a sliding compartment keeps your essentials within arm's reach. Multiview Camera - Connected to the MediaNav system, the Multiview Camera shows the images from Duster's four on-board cameras. It is triggered by reverse gear or by a simple touch of the dedicated button. High Ground Clearance - Thanks to its angles of approach and departure designed for any terrain, Duster easily tackles grass, pavements and rocky surfaces. Hill Start Assist - You can start with ease, with reduced risk of reversing or stalling, even on steep gradients. Hill Descent Control - To minimise skidding, Hill Descent Control maintains a slow and constant speed when descending steep gradients. MediaNav - With a large touch screen and steering column controls, MediaNav gives you easy access to a range of practical functionalities. Navigation with TMC traffic info, Blutetooth* phone calls, radio, music audio streaming, USB and jack ports, etc. It's got the lot! Cruise control and speed limiter - Make driving easier! With cruise control, drive at a constant speed without touching the accelerator pedal. With the speed limiter, you set the maximum speed that you don't want to exceed. LED daytime running lamps - Stand out with All-New Duster's unique lighting signature! Blue dCi engines - New Duster benefits from the latest Blue dCi diesel engines. These engines are equipped with a system to reduce polluting Nitrogen Oxide vehicle emissions by injecting an urea-based fluid, AdBlue®, into the exhaust system. A dashboard message will remind you when the AdBlue® needs topping up via specific Adblue filling cap located next to the usual Diesel fuel filler cap, but with 10 litres of AdBlue lasting upto 2,000 miles depending on driving style and conditions, you should not find yourself need to do this very often. All vehicles comes in Glacier White as standard. Cosmos Blue, Desert Orange, Dune, Mercury, Mink, Pearl Black and Slate Grey colours are available from entry level on Essential, Comfort and Prestige trims for £495. 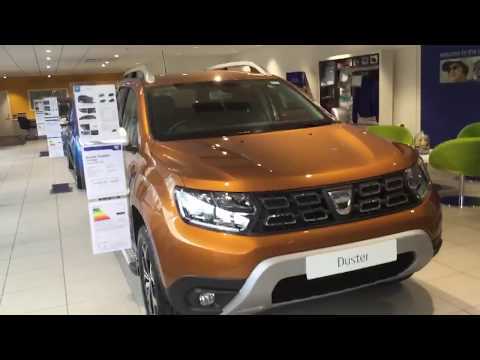 To explore the new Dacia Duster for yourself, contact us at Mackie Motors in Brechin today. We’ll be happy to talk you through the model in more detail and accompany you on a test drive.